A new year brings so much with it: hope for deeper connections, renewed strength, new wealth, and grand opportunities. It is also a time of great reflection on the state of things. We make promises to ourselves and to others to do better, be better, and work harder than ever before. We evaluate where our global and national policies are and how they align with our beliefs. All of this is critical to our growth as people and as a world as we live, grow, and learn together. Here at Flame Tree, in light of these ruminations, we’d like to take a look back on 2015 and all the invaluable goals that were attained in Malawi thanks to the dedication of so many hard working people. 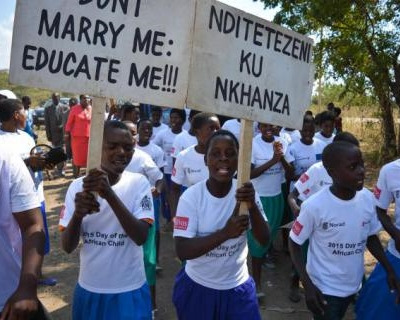 Malawi banned child marriage in February thanks in large part to young women activists. One of the leaders of this youth movement, Memory Banda, spoke at TED’s annual TEDWomen event in May. Don’t miss her inspiring speech here. Malawi experienced a major drop in child mortality, saving the lives of 280,000 children. They were able to achieve MDG 4 by providing mosquito bed nets, expanding rural health care, and increasing immunization adherence. Malawi’s economic growth is on the rise and extends to nearly every industry at 5.4%. Malawi’s first innovation tech hub, the mHub, was launched in Lilongwe and has made great strides in creating a space where tech enthusiasts can learn and grow together. Check out their coding workshops, hackathons, and startup workshops happening near you! 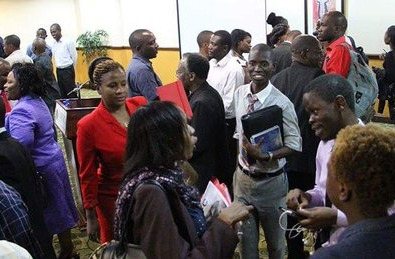 The Blantyre Entrepreneurs’ Pitch Nights have gained momentum and their speakers are finding business success all across Malawi. Are you ready to pitch your concept to a room full of entrepreneurs, funders, and community experts? Find out more on their Facebook page. It is with these stories that Flame Tree enters 2016 full of hope for another year of fervent growth, driven collaboration, and true inspiration. We are full of gratitude for all of you who made 2015 such a pivotal and poignant year for us. Here’s to many more to come!